I am a professor in the UCLA Department of Asian Languages and Cultures where I specialize in early modern through early colonial Vietnamese history. I teach courses on early and contemporary Vietnam, and a range of courses in Southeast Asian studies. These include courses on Southeast Asian religions in contemporary society, on 20th-century Southeast Asian literature, and on Zomia, which involves critical issues relating to upland ethnic communities in mainland Southeast Asia and Southwest China. My first book was about the Tây Sơn uprising in late 18th century Vietnam, and my latest is on Vietnamese Catholicism of the late 18th and early 19th centuries as seen through the life and projects of a Vietnamese priest, Father Philiphe Binh. 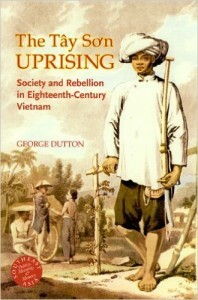 I have also explored topics in 19th and early 20th century Vietnamese history. These have ranged from military technology to poetry to visual humor in the form of newspaper caricature. Beyond UCLA, I am currently serving as the Southeast Asia representative on the Program Committee of the Association for Asian Studies. 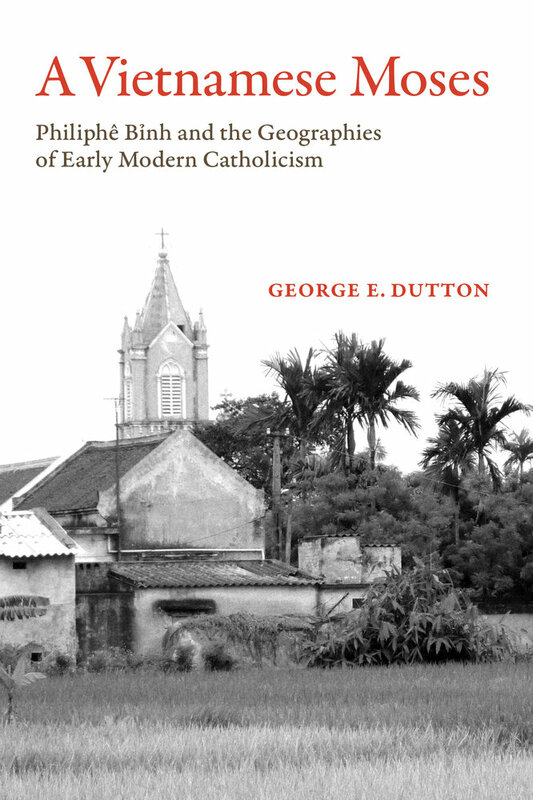 My most recent academic project, published in December 2016, is a biography of Philiphê Bỉnh, a Vietnamese Jesuit priest who spent more than thirty years in Lisbon as an emissary of the northern Vietnamese Jesuit community in the first decades of the nineteenth century. Before that I edited a sourcebook of primary literary sources from across Southeast Asia. 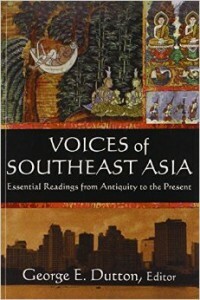 This volume, entitled Voices of Southeast Asia: Essential Readings from Antiquity to the Present (M.E. Sharpe, 2014) includes more than 25 literary selections from across the region, and ranging from the 8th century to the 21st. 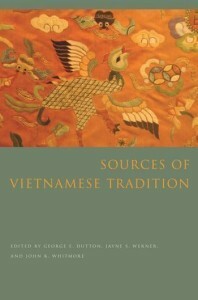 I am also the co-editor of the Sources of Vietnamese Tradition. This volume contains several hundred documents relating to all periods of Vietnamese history and was recently published by Columbia University Press (2012). Other projects I am working at the moment are revisions of articles on historiography of early twentieth-century Vietnamese collective actions, and on the neologisms that emerged from the Tonkin Free School at the beginning of the twentieth century. The latter focuses on the concept of “society” and the ways in which it was introduced into the Vietnamese vernacular and how it was understood. As may be clear, while I have a special interest in eighteenth and nineteenth-century Vietnamese history, my research interests are fairly eclectic as I explore numerous facets of Vietnamese society, culture, and literature. 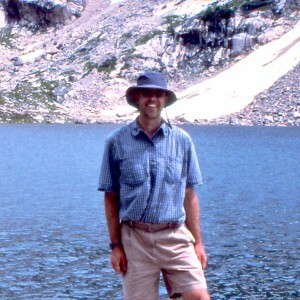 co-editor with Jayne S. Werner and John K. Whitmore. “From Civil War to Uncivil Peace: The Vietnamese Army and the early Nguyen State (1802-1841),” South East Asian Studies, vol. 24, no. 2, (June 2016):1-18. “’Society’ and Struggle in the Early Twentieth Century: The Vietnamese Neologistic Project and French Colonialism,” Modern Asian Studies, vol. 49, no. 6 (November 2015): 1994-2021. “Threatening Histories: Rethinking the Historiography of Colonial Vietnam,” Critical Asian Studies, vo. 45, no. 3 (2013), pp. 365-392. “Beyond Myth and Caricature: Situating Women in the History of Early Modern Vietnam,” Journal of Vietnamese History, vol. 8, no. 2 ( Summer 2013), pp. 1-36. “Nhin Lai Tinh Canh Va Vai Tro Cua Nong Dan Thoi Tay Son” [Reconsidering the Situation and Role of the Peasants in the Tay Son Period] Xua va Nay, (Hanoi) no. 281 (April 2007). “Reflections on Two American Wars,” amerasia journal vol. 31, no. 2 (2005): 116-121. “Reassessing Confucianism in the Tây Sơn Regime (1788-1802),” Southeast Asia Research 13, no. 2 (July 2005): 157-183. “The Hoàng Lê Nhất Thống Chí and Historiography of Late Eighteenth-Century Đại Việt,” Journal of Southeast Asian Studies 36, no. 2 (June 2005): 171-190. “Burning Tiger, Flaming Dragon: Military Technology and Strategy in Pre-modern Viet Nam,” The Journal of East Asian Science, Technology, and Medicine 21 (2003): 48-93. “Verse in a Time of Turmoil: Poetry as History in the Tay Son Period,”Moussons 6 (December 2002): 37-68. “Advertising, Modernity, and Consumer Culture in Colonial Vietnam,” Exploring the Middle Class in Vietnam: Contemporary and Historical Perspectives, Van Nguyen-Marshall, Daniele Belanger, and Lisa Drummond, eds. (Springer, 2011). “Bridging the Gap: Academic Linkages with Southeast Asia,” in Southeast Asian Studies: A State of the Field Survey, Laurie Sears, ed. (Seattle: University of Washington Press, 2007). “An Introduction to Maurice Durand’s Histoire des Tay Son,”in Maurice Durand, Histoire du Tay Son, Philippe Papin, ed. (Paris: Les Indes Savantes, 2006). “Crossing Oceans, Crossing Boundaries: The Remarkable Life of Philiphê Binh (1759-1832),” in Viet Nam: Borderless Histories, Anthony Reid and Nhung Tuyet Tran, eds. (Madison: University of Wisconsin Press, 2006).